Our baby massages classes aren’t just for mums. The 6th session of the course is for dad/partner so they can have a go and discover the many benefits that baby massage can offer. 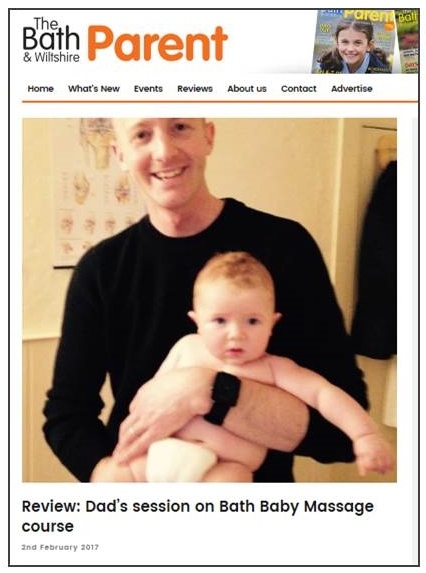 Recently one of the dads on my course agreed to write a little review of the class, and The Bath and Wiltshire Parent magazine kindly agreed to feature it on their website – read Phil and baby Henrys article here.